Continuing in the pursuit of innovation while taking into consideration customer and owner feedback, the 2018 model of the Leopard 40 now features aft cabin reconfigurations that offer more space below for added comfort. The redesigned aft cabins now boast semi-island berths, access steps, concealed strip lighting under shelves, berths, and ceiling fixtures,and more overall space than the previous Leopard 40. The owner suite desk and storage units were intelligently rearranged within the suite to allow for a more refined layout. 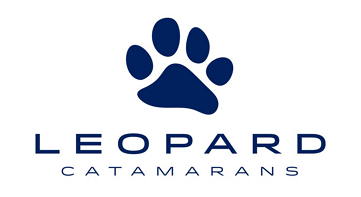 This new layout further expands upon the open air concept of the Leopard Catamarans line. The owner suite desk and storage units were intelligently rearranged within the suite to allow for a more refined layout. 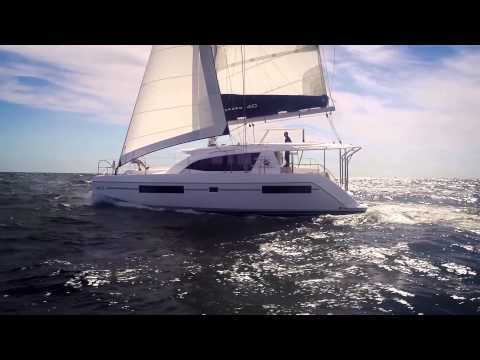 This new layout further expands upon the open air concept of the Leopard Catamarans line. The port aft cabin also underwent the same reconfiguration less the owner cabin desk arrangement. Staying true to our legacy of open concept designs, we were able to accomplished this renovation without compromising any interior living space, one of the most loved features of the Leopard line. The Leopard 40 still offers more interior living space than other catamaran of similar size, and no other yacht in this class of sailing catamarans boasts the speed, agility, or blue water performance that the Leopard 40 can.